Everything is slowly coming together. Going to be a tough week, show and inventory at work. Valentines Day is around the corner and right after is the show. 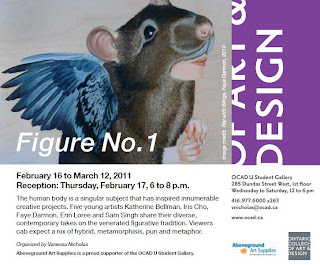 Really hopeing my Girlfriend and friends come down to see it. The human body is a singular subject that has inspired innumerable creative projects. Five young artists Katherine Bellman, Iris Cho, Faye Darmon, Erin Loree and Sam Singh share their diverse, contemporary takes on the venerated figurative tradition. Viewers can expect a mix of hybrid, metamorphosis, pun and metaphor. 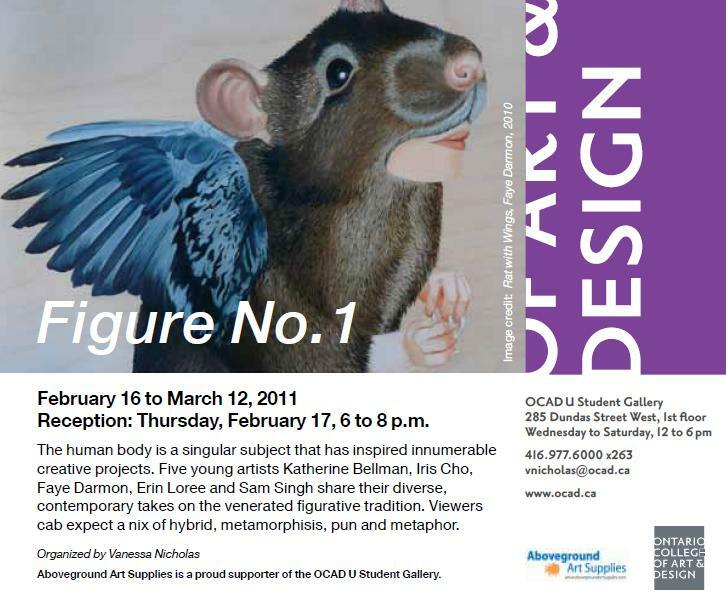 Aboveground Art Supplies is a proud supporter of the OCADU Student Gallery.